This song continues to grow each week at radio AND in overall consumption. #16 OVERALL consumption among all songs in Christian music; #8 among current songs! 100% of the panel at AC Monitored supporting this song! Christian Airplay: Up 1 spot from #12 to #11 this week on the chart! Total audience of 5,711,300 and +392,000 for the week! AC Monitored: TOP 10!! Up 2 spots from #12 to #10 this week. +178 for the week for a total of 1282 spins and 48 total stations on-board. AC Indicator: Up 2 spots from #13 to #11 this week. +81 in overall spins for a total of 838 spins. 34 stations playing it officially on this chart! Hot AC/CHR: Up 2 spots from #19 to #17 this week! +12 in overall spins for a total of 379 spins. 13 stations playing it officially on this chart. Audience - TOP 10! Up one spot from #11 to #10 this week 8,435,000 in audience (+530,000 for the week)! Are Christian AC radio listeners ready for modern pop? Is the Christian AC audience ready for the modern pop sound? We all know the trend...a sound gets popular in the general market. Two years later the CCM labels sign and develop acts that sound like this. Two years after that, those acts start getting played on the radio. The problem is, we have access to more information and data than we ever have had before. Can we jump into these musical trends sooner? If so, now's the time for Christian AC to start playing some pop music. Pop Contemporary Hit Radio (CHR) had a down year compared with 2016, but it remained the top-ranked format in terms of audience share among kids 6-11, teens 12-17, Millennials aged 18-34 and persons 25-to-54. Hot AC lands at the FIFTH highest rated format of the year. Hot AC, in case you haven't spent a lot of time with it, sounds nothing like Christian Hot AC. It's essentially Pop/CHR but they add slower and are generally conservative on the rhythmic side. When you combine Pop AND Hot AC shares among all ages, you get a 13.5 share. That's nearly 4 shares ahead of News/Talk (which would be #2). Throw Urban in and you're at a whopping 17.3 share. Examples of this sound are all over the format in recurrent as well. I simply pulled a few currents to illustrate the point. The general market is all over this sound. Is the Christian AC audience ready for it? Are you as a programmer ready to introduce it to them? It might be possible to give them what they're coming to you for while giving them a sound that sounds like right now. The difference between #1 and #2 this week on Billboard/BDS Christian Hot AC/CHR was 2 spins. TWO SPINS! Indie pop act Joshua Micah officials hits #1 this week with his debut single "Parachute" edging out "Love Broke Thru" from TobyMac. Congratulations to Joshua on a massive accomplishment for any artist...but for an indie artist on a debut single? This is bananas. 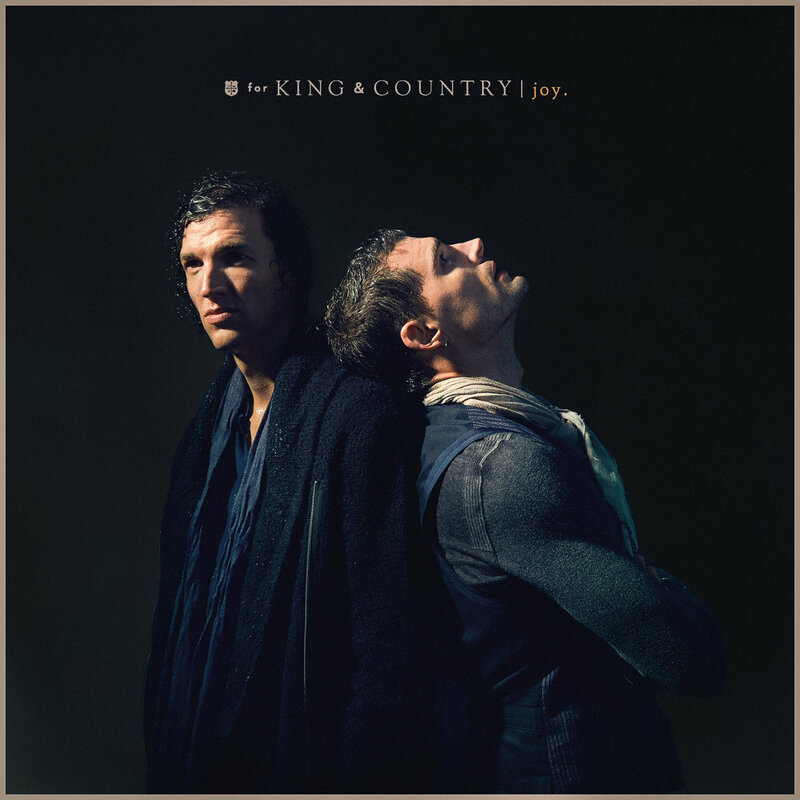 We are forever grateful to Jeremy Louis at Boost 101.9 in St. Louis for first checking out the song and bringing it to a music meeting and for Mike Couchman (PD at Boost 101.9 and Joy FM) for connecting Joshua with 55 Promotion while being a consistent champion for this song. #1 songs are always a huge deal. I'm so honored to be part of this one alongside my friends Chris Hauser, Matt Ingle and Katie Green. Thankful to our friends at radio for supporting Danny and this great song. Congrats to the team at Maximum Artist Group and BMG as well. What an accomplishment! It's always amazing to be this close to the top of the radio charts. It's even more amazing to be this close when the artist is fully independent. Joshua Micah is making the music he was made to create. His producers (Hatch Music = Joshua Schiffman and Benjamin Bright) are bring out the best in him and offering something fresh (also, DOPE). God is doing this...we're joining him. It's been fun! I'm so pumped to be working with Joshua Micah. His song "Parachute" has jumped for completely unknown to #6 on the Billboard Hot A/CHR chart in only 7 weeks...and more stations are adding it this week. Here's some info on him...the future is bright! Mike Couchman (Program Director at Boost 101.9 and Joy FM St. Louis, MO) was the first person to introduce me to Joshua Micah. Joshua had a song called “Parachute” that was written at a time in his life where things didn’t make sense. It was a season of struggle and suffering in his life and a time where Jesus became exactly what He says He will become for us…all we ever need. He shared it with Mike’s team. Mike shared it with me. We both shared it with colleagues at radios stations all across the US and now, it’s officially being shared with YOU. Joshua is a self-starter…he built a massive following for himself online (750,000+ followers on VINE along with 130 MILLION views along with significant Instagram, Facebook, Spotify and YouTube followings). As he began thinking of how “Parachute” could impact people, he decided to reach out to Christian radio PDs and MDs and air talent to see what they thought of the song. Most of you ignore indie artists who do this…don’t pretend. However, one of the Boost 101.9 personalities receive a Twitter message from Joshua one day, checked out the song, loved it and brought it to a music meeting. From there, the song has received airplay on 11 stations simply by folks passing around a WAV file of the track. “Parachute” was one of WAY-FM’s first two adds of 2017. If your listeners lives are plummeting towards earth at rapid speeds (often, that’s all of us) and you need remind them of the one hope we have in this life, then you should check this song out. It’s a brilliant metaphor of the absolute radical grace of Jesus in the way He rescues us from death. 9 Weeks At #1 For "The River"
It's a career highlight for me to be part of the team promoting "The River" from Jordan Feliz. This song began as a Hot AC/CHR only single but as folks started to hear it, they started to add it to their radio stations regardless of their format. We've had champions for this song at radio along the way...folks willing to step out and share their research or passion for this song so others might see what they're seeing and...jump in the river. It's been extraordinary and it's sat at #1 for a total of 9 weeks (at the posting of this blog) on Billboard's Christian Audience Chart. The research on this song is phenomenal as well...Troy Research's latest survey lists "The River" as the #7 best testing song across the broad demo of Women 25-54...it's been researching in the top 5 since it's release in September, 2016. Reaching the Top 10 on Billboard's Christian Audience Chart is no easy task. Reaching it in 7 weeks is unheard of these days. Lauren Daigle has done just that. "Trust In You" began receiving airplay from Christian radio stations on December 26, 2015 and in one week's time, entered the top 5o on Billboard's Christian Audience Chart. As of February 13, 2016, the song is already in the Top 10 on Billboard's Christian Audience Chart...in 7 weeks on the chart (3 weeks since it's official add date). "Trust In You" from Lauren Daigle began with 54 radio stations playing it in it's first week. We are 2 weeks removed from it's add date and have 23 new stations reporting adds today across all formats (20 at AC). What a phenomenon. Thanks radio friends for believing in this song! It is a song that people can sing along with that says incredibly important things about God, "You are my strength and comfort. You are my steady hand. You are my firm foundation...the rock on which I stand. Your ways are always higher. Your plans are always good. There's not a place where I'll go, You've not already stood." It then goes on to say "When You don't move the mountains I'm needing You to move. When You don't part the waters I wish I could walk through. When You don't give be answers as I cry out to You. I will trust, I will trust, I WILL TRUST IN YOU." That's a massive statement. It's easy to trust God when all is well. It's hard to trust Him in the midst of suffering or great trial. Yet, He is good and trust worthy. Lauren Daigle is on-fire right now! We're coming off a 3-week #1 single at Billboard's Christian Audience chart with "First" and her new song, "Trust In You" just went for adds across all formats at Christian radio. The song debuted on January 25, 2016 with 54 radio stations reporting adds across all formats. This is the most-added song in Lauren's short career and the biggest add date in the history of Centricity Music! Congrats to Lauren and her team at RedJett Management on an incredible start to this song! Jordan Feliz's single "The River" has reached #1 on the Billboard Christian Audience chart with a total weekly audience of just over 5.2 million weekly listeners right before Christmas. Merry Christmas to Centricity Music. This song is a phenomenon. It's moved quickly...#1 in only 19 weeks! Congrats to Jordan on a massive accomplishment! Jordan Feliz released his debut single to radio in August of 2015. "The River" debuted at #26 on Billboard's Hot AC/CHR August 24. In only 9 weeks, the song has reached #1 on the chart! It's remained at #1 for 7 consecutive weeks. What an incredible accomplishment! Congratulations to Jordan and his entire team. This is a special song and it's an honor to be carrying it to radio. It's been incredible to be part of Lauren Daigle's very first #1 single at radio! Two weeks in a row...crazy. I'm so encouraged by radio's support of Lauren and this song. It's been extraordinary. Also, quite incredible to see it sitting at the top of the sales charts from the first week it released to radio...that says a lot. 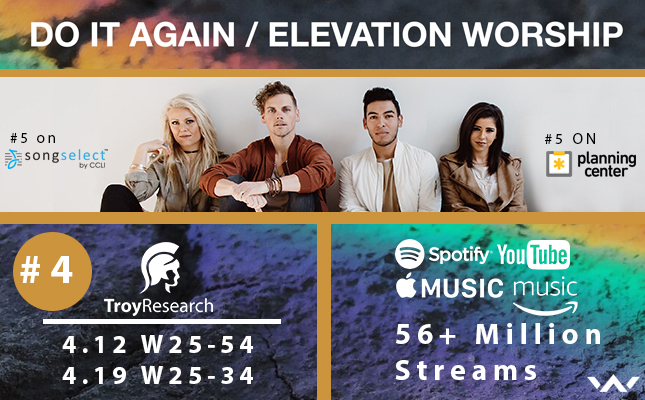 Multi-week #1 singles aren't common these days so massive congratulations to Lauren and the entire team at Centricity! Well done! "The River" is #1 at HOT AC/CHR! Jordan Feliz is on fire. His single "The River" has caught on like no other single I have ever promoted to radio in my career. He has champions at all formats. The song is researching incredibly well. The song is also selling...top 5 at iTunes for several weeks now (currently #2 behind "Good Good Father" by Chris Tomlin). Now, it's #1 on Billboard's Hot AC/CHR chart which marks the 2nd time in consecutive weeks that Centricity Music and 55 Promotion have celebrated a #1 single at radio! Unreal. I think we have much more to come from Jordan so if you haven't checked out his music yet, do yourself a favor and give it a listen. Congrats to Jordan and the team at Centricity Music. #1 singles aren't common and this team is on a role!